I thought some here may be interested in a few thoughts on my few days away in Warsaw for the fourth Global Forum on Nicotine (GFN) … which I nearly didn’t make at all thanks to a car fire on the motorway on the Wednesday afternoon. I can faithfully report that watching kids playing football on the carriageway amongst stationary traffic when you have a plane to catch in less than an hour is a deeply depressing experience. As it happens the blockage – a car which had quite literally melted by the time it had been extinguished and dragged to the hard shoulder – was cleared just in time for me to catch the flight with minutes to spare. My gallant cabbie floored it for the rest of the way and, after jumping out at the terminal while he was still travelling (I doubt he got out of second gear), managed to sprint to the gate in time for priority boarding. As for the conference itself, I detected an atmosphere which was subtlely different this year. In the past there has always seemed to be an undercurrent of mistrust, with industry and NGOs distancing themselves from each other and barbed comments being flung from those who were on panels being afforded the use of a microphone, but if it was there this year I certainly didn’t notice it. Everyone appeared far more relaxed as if this type of conference – where both sides of the debate are welcomed without prejudice – is now becoming more normal. A 22-year-old man was arrested today (June 20) in a joint operation by the Department of Health (DH) and the Police in Wong Tai Sin for selling illegally three nicotine-containing liquids, namely “JAM MONSTER”, “NINJA MAN” and “Crush FRUITS”. 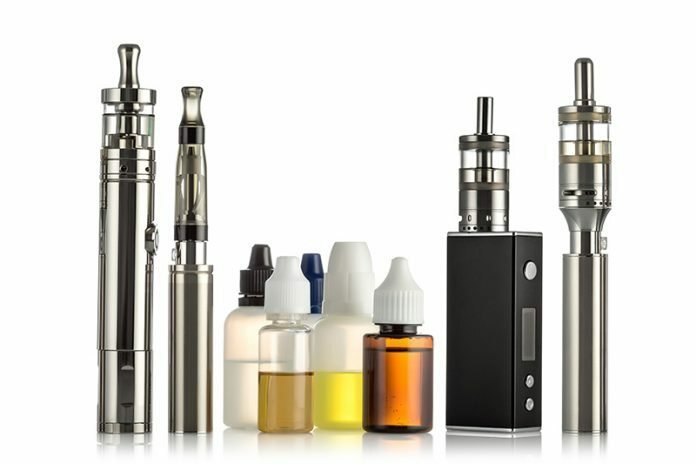 All of the liquid products are intended for use with electronic nicotine delivery systems, commonly known as electronic cigarettes. Acting upon a public complaint, the DH found that the above products were offered for sale on a social networking website. Samples of the products were then purchased for laboratory analysis. Following the release of ONS figures showing a record reduction in smoking prevalence in the UK, a good deal of health and tobacco control groups have been quick to claim that the effect has been caused by the UK’s strict tobacco control policies such as high rates of tax, bans on smoking in public places, display and advertising bans, health warnings and even, bizarrely, standardised packaging, which was only fully implemented less than a month ago in the UK and which still isn’t having any discernible effect in Australia, which has had it for 5 years. What they are not mentioning is the effect on those figures of vaping. All of the policies mentioned above are coercive, or ‘push’ policies. They are designed to push smokers into quitting. The method smokers ultimately use to quit is immaterial when you are a group that receives funding to create ever more onerous and restrictive push policies to force them to do so. All that matters is that they do.